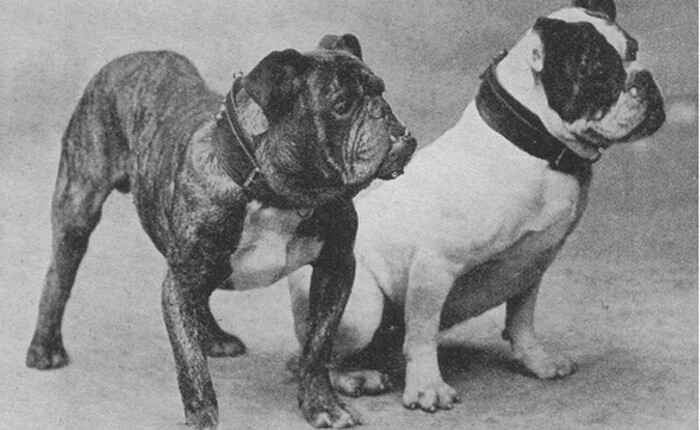 These Dog Breeds Didn’t Look Like This 100 Years Ago! Of the 70 million homeless pets there are in the U.S., only around eight million of them get put in shelters where more often than not, many of them end up getting euthanized due to overcrowding. Sadly, only 20 percent of Americans go to local shelters to adopt a new pet. Most prospective dog owners, for example, will often seek out dog breeders who sell a “superior” pet. But this process is problematic. Even if a dog breeder uses the most humane practices for dog breeding, the idea in itself goes against natural selection and the process of evolution. Even if a dog isn’t inbred, it can still suffer from a myriad of health problems way down the line as a result of a breeder’s attempt to create the highest-quality dog of any one breed. Breeders from centuries ago, of course, didn’t take this into consideration and as a result, many of today’s common dog breeds are not representative of their ancient ancestors! See how your favorite breeds have transformed after centuries of pure breeding practices. It’s hard to believe bull terriers used to look so different.